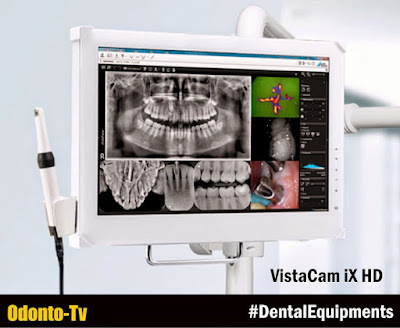 The advantages of the new VistaCam iX Dürr Dental has brought together successful, tried-and-tested technologies to create the VistaCam iX. With regard to depth of field and image quality, the intraoral camera meets the highest requirements for fully digital image transmission. The sophisticated interchangeable head mechanism provides the best prerequisites for all applications. The innovative multi-head camera for perfect diagnosis support in real HD image quality.